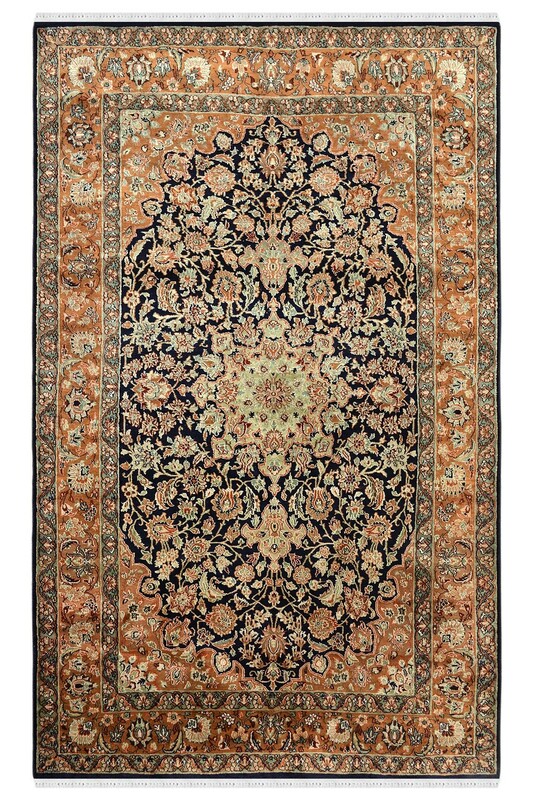 Give a perfect look to your decor and coziness to your floor by placing this silk area rug. It is woven in pure silk material and contains 576 knots per square inch. It is a highly durable rug. 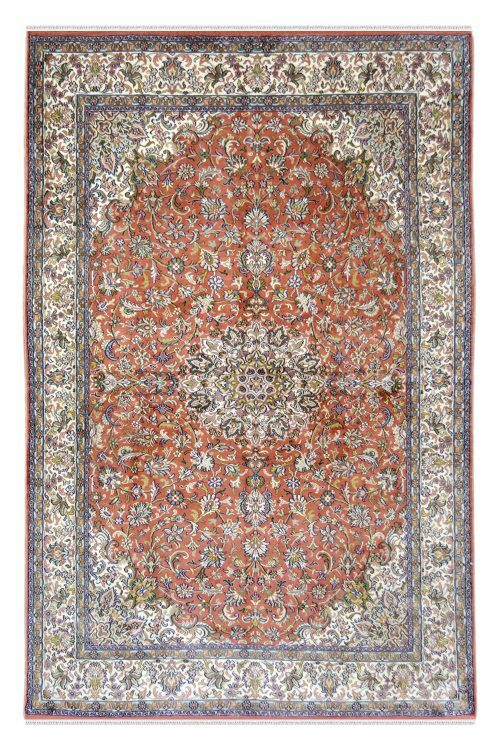 This rug will instantly add fashion to any room’s decor. 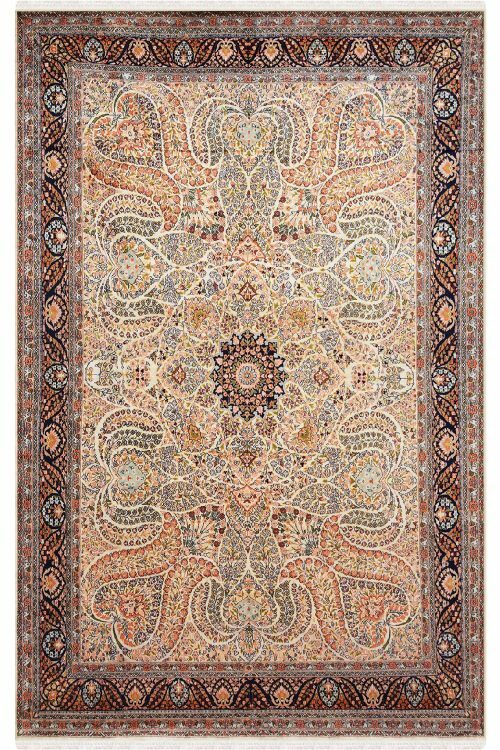 This rug features trendy colors as well as its design. Enhanced soft, pure silk pile give a great look. 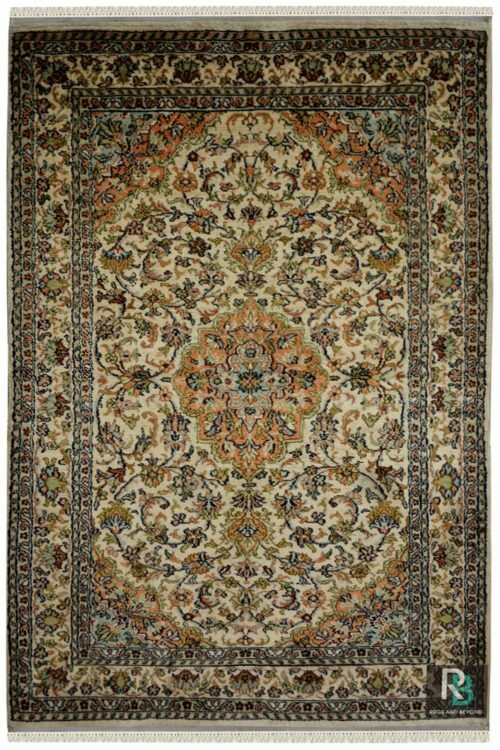 It is woven in silk on silk area rug. 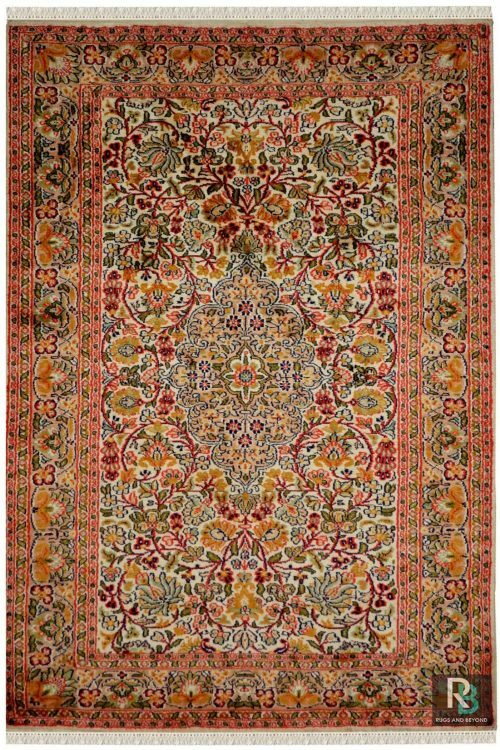 The warp and weft both are in pure silk area rug. It has a great color combination.